When I bumped into Amtrak President Joe Boardman outside Albuquerque’s faux-adobe station, his wife scanned the trackside vendor tables stocked with jewelry, souvenirs and burritos. Business is good for those New Mexico entrepreneurs when Trains No. 3 and 4, Amtrak’s Southwest Chief, are on time leaving Lamy, the rural stop for Santa Fe, and Gallup in the red-cliffed Indian Country almost to Arizona. With timetables padded to help maintain the schedule, on time at Lamy and Gallup usually means early into Albuquerque in late morning going east and late afternoon chasing the sunset. That gives passengers from Chicago, Los Angeles and 31 big and small places in between an hour or so to walk around as the trains take on fuel and change crews. At the moment the only customers are a few would-be Amtrak passengers and a handful of people off Boardman’s special train, and he’s wondering where both of his Southwest Chiefs are. They should have been here by now with one of them already long gone. Railroaders operate by a minutely detailed rulebook with one unwritten rule strictly enforced: Late trains get later. That describes Amtrak on a 2015 roundtrip from Albuquerque to Oregon by way of Los Angeles. But not in this summer of 2016. Instead two trains covering 2,201 miles on one-way tickets reached both destinations early with only a little fuss along the way. It’s how America’s private passenger rail system operated into the mid 20th century and still does when everything clicks. No ailing equipment, decrepit track, disruptive passengers, dangerous weather or lame dispatching by a host railroad blew up the schedule with hours-late arrivals and missed connections. 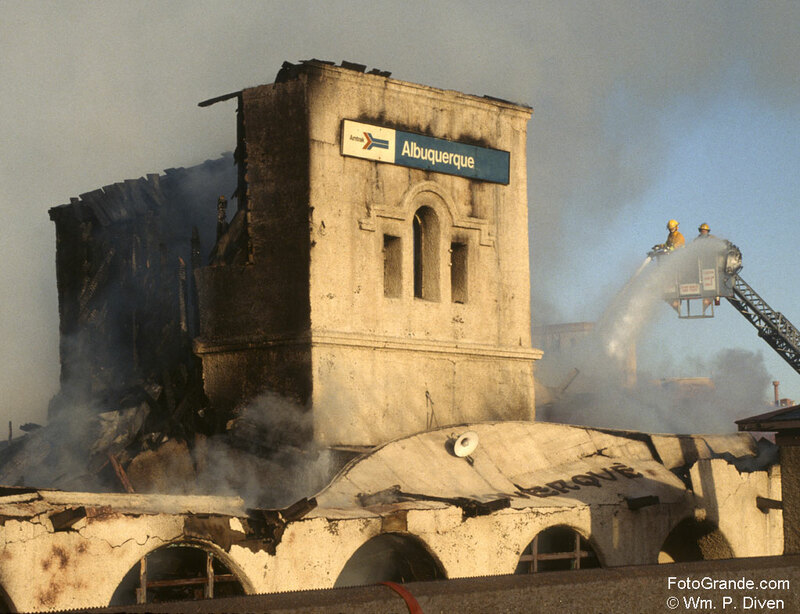 When fire turned Albuquerque’s railroad station into smoking rubble on a January night, the blame variously fell to homeless folk lighting a fire to stay warm or trouble in the electrical system of the 91-year-old building. Call it another hard-luck episode in the history of Amtrak in New Mexico.